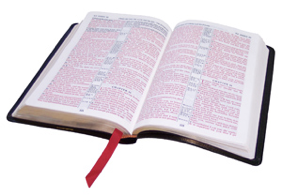 This study requires the participant to have access to the written Bible. It is organized into daily readings grouped into 52 weeks following the 52 weeks of a calendar year. It is designed to guide a reader through the text of the entire Bible with thought-provoking questions (including an answer key) and a weekly message on the the most important Old Testament theme and one on the most important New Testament theme. All of the material is in English.